Nyagiech’s life has been marred by conflict. Fighting back tears, Nyagiech recalls her tragic experience with violence, hunger and death that began when she was only a child. Now 36, she’s seen her village burn three times, forcing her family to run for their lives. The last time violence engulfed Nyagiech’s home, her husband didn’t survive. Nyagiech and her three children left everything they had and fled in search of safer ground. They now live in the remote community of Jeich, South Sudan. Life has been hard for Nyagiech – hunger a constant battle – but thanks to ZeroHunger Heroes like you, in Jiech, her life is a little easier, because with WFP she can provide her family with the food they need to survive. Jiech is a remote village, accessible only by air. 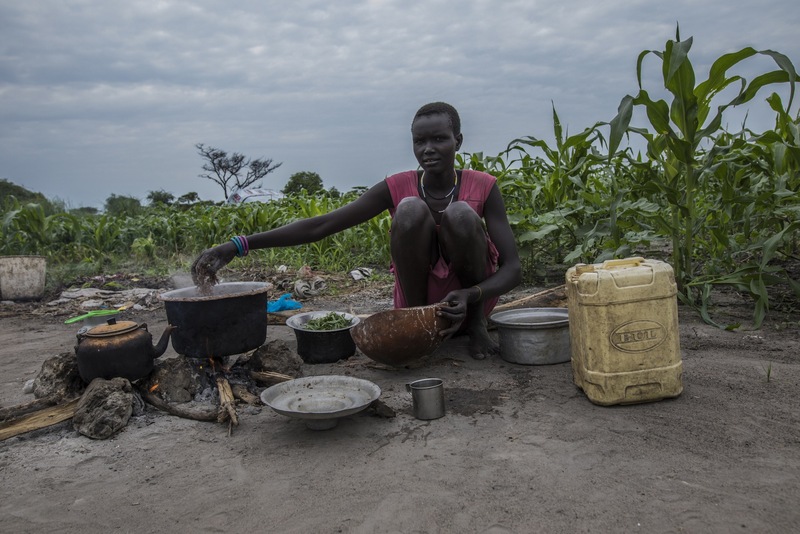 Conflict and extreme weather often prevent WFP from transporting food by water or land to many areas across South Sudan – threatening to perpetuate an already advanced hunger crisis. Sudan has a history of famine. Even now, 4.4 million people in South Sudan don’t know where their next meal is coming from – including people like Nyagiech. 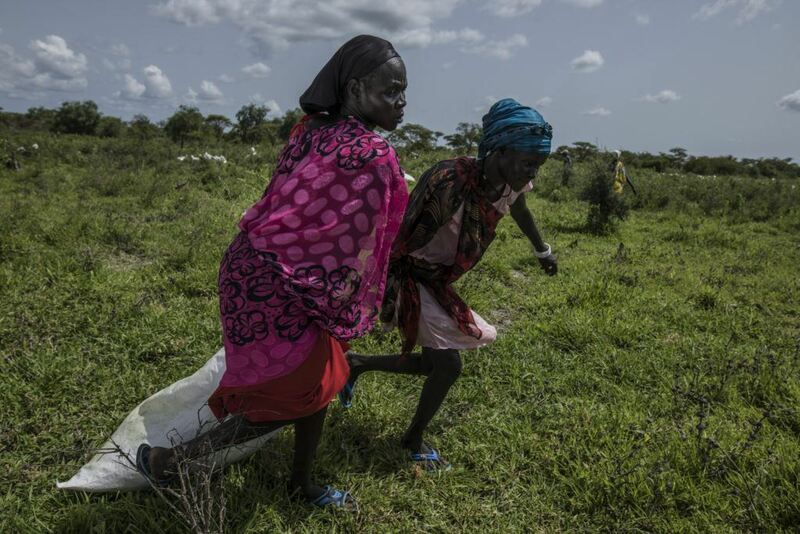 Porters pull a bag of food distributed by WFP airdrops in Jiech, South Sudan. Communities like Jiech are hard to reach, but people there urgently need food. So, WFP does whatever it takes to find a way to help. When there is no way by land or water, WFP and ZeroHunger Heroes like you find a way to reach people in need by air. WFP airdrops deliver lifesaving food to families in the most isolated areas of the world, ensuring no family is left behind. Conflict may have stolen Nyagiech’s childhood, but she is defiant that it won’t steal the same from her children. In Jiech, they have food and are enrolled at a nearby school where they receive a steady education. Nyagiech is confident that someday, peace will come to South Sudan and bring with it a chance for her children to reach a brighter future.